The industry's most rugged handheld tablet PC. 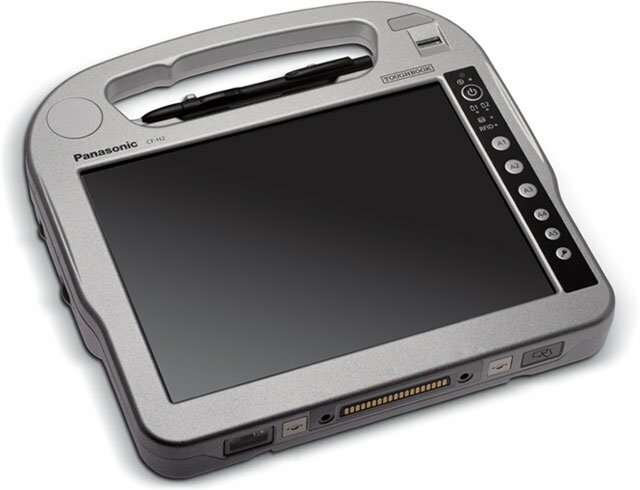 The new rugged Panasonic Toughbook H2 handheld tablet PC runs a full OS (Windows 7 Professional) and is the ultimate productivity tool for mobile workers. With superior ergonomics, a brilliant 10.1" sunlight-viewable LED screen capable of up to 6000 nit in direct sun and sealed all-weather design, the Toughbook H2 lets you work virtually anywhere. Designed with a fast Intel Core i5 vPro processor, magnesium alloy chassis encased in polycarbonate, the IP65 and MIL-STD-810G certified Toughbook H2 delivers a complete range of embedded wireless features including Wi-Fi, Bluetooth and optional 4G LTE (Fall 2011) or Gobi2000 3G mobile broadband. Add to that hot-swappable twin batteries for maximum uptime, ports such as USB, serial and Ethernet, optional integrated barcode and Smart card readers, and you"ve got a handheld tablet PC that is unmatched in the field. The Panasonic CF-H2ASHKZ1M is also known as PAN-CFH2ASHKZ1M	or CFH2ASHKZ1M	.